Those born between March 21st and April 19th are members of the Aries sign. Their element is fire and they are ruled by Mars. This sign is represented by the Ram. Arians have no problem forging their own path, asserting themselves, and being independent. They are marked by their passion, high energy, enthusiasm and courage. Members of the Aries sign are natural leaders who thrive when taking on a new challenge. As with anyone, there are areas many Aries can improve upon. For example, they tend to be impatient, short-tempered and overly impulsive. Wearing or meditating with the following gemstones and crystals can balance Arian energy, helping them to harness the best of themselves. The vibrant Aries energy can sometimes make it hard to find a clear path, suffering from tunnel vision. By utilizing Red Jasper, it’s easier to think before taking action, helping an Aries to follow through with their dreams. For someone who needs balance and a revitalized inner spirit, Sardonyx is the perfect gemstone for the job, especially when programmed with the lower chakras. Arians often have trouble with commitment and dedication. As the stone of passion and new opportunities, Garnet can empower an Aries both physically and mentally to revitalize interest. The enthusiastic Aries may sometimes need help finding peace and tranquility. Rose Quartz can help open the heart to unconditional love and uplift the spirit. Arians have no trouble driving accomplishments. Green Aventurine is a stone that takes that energy and amplifies it, leading to success with an open mind and stable base. 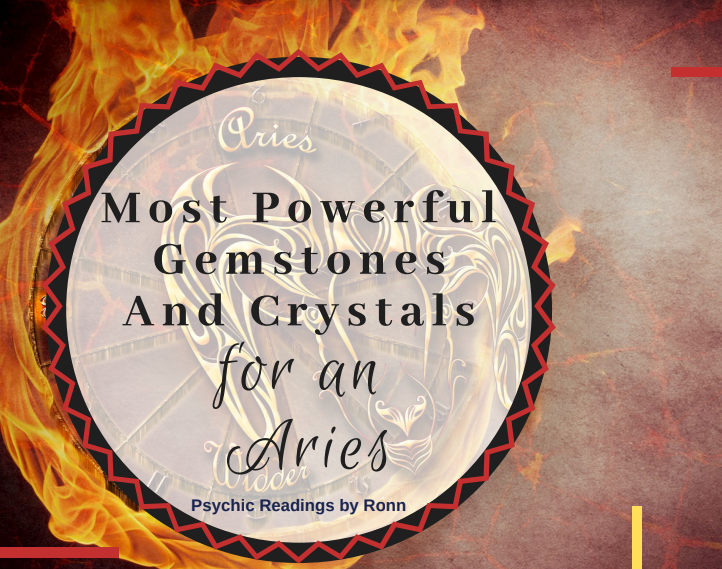 The fiery spirit of an Aries sometimes needs to be brought down to Earth. Apache Tears balances the root chakra and helps to balance passion and drive with reality. If any other gemstones or crystals speak to you, try them out too! Every individual is impacted differently, so there’s no harm in personalizing your collection to suit your needs.